But, don’t stop there. Before you entrust your organization’s event and brand identity to a professional event planner, you’ll want to do your homework. Ideally, the person or firm you choose will be highly qualified, easy to work with, and will always protect your organization’s bottom line and best interests. Following are a few questions you should ask in order to get to the matters at hand. Some companies will quote you the “total combined years of experience of their staff.” In event management, teamwork is everything, and you should know how long your prospective team has been in place. Note the word “corporate.” If the planner or firm specializes in weddings vs. business events, that is important for you to know. 2. What professional certifications and/or professional education do you have? In the past decade, the visibility of the event management field has grown tremendously. Today there are university degree programs in event management and also well-respected certification programs in the industry. Asking about these will help you determine the planner’s true qualifications. You may love your account exec/salesperson, but oftentimes that person steps out of the loop once the project is sold. Ideally, clients should get to know their key contact prior to signing a contract. 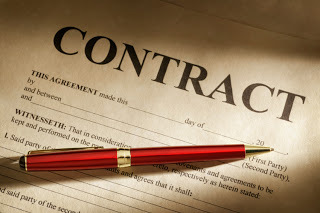 The objective with this question is to get a behind-the-scenes understanding for what happens once you sign that contract. You need to know who will handle each aspect of the planning and execution process, what systems are in place to establish and meet deadlines, and what checks and balances are used to make sure nothing falls through the cracks. 5. What procedures do you have in place to effectively manage my budget? Your event planner/firm should have your organization’s budget and bottom line in mind at all times. They should be able to clearly explain their negotiation strategy and budgeting process. Event planners should maintain insurance that covers commercial liability, professional liability, automobile liability and workers’ compensation. 7. What is your on site crisis management planning process? If a crisis were to happen on site, all eyes will turn to your event team. Your event planner/firm should have a process in place to address emergencies from all angles, and they should be able to provide you with sample copies of those plans.